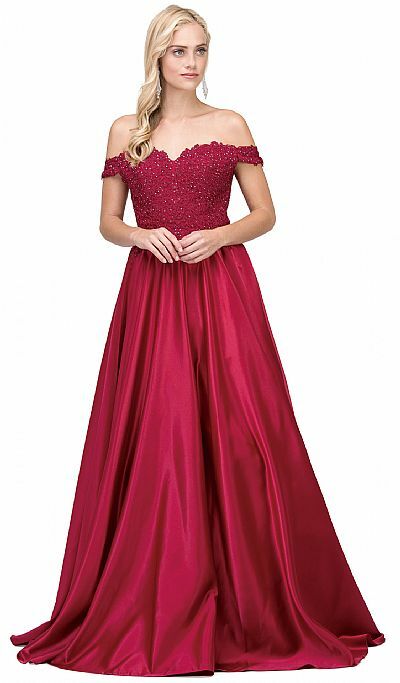 Sweetheart Off-the-Shoulder Lace Bust Long Prom Dress. Embroidered floral lace with rhinestones bodice with bra cups too. 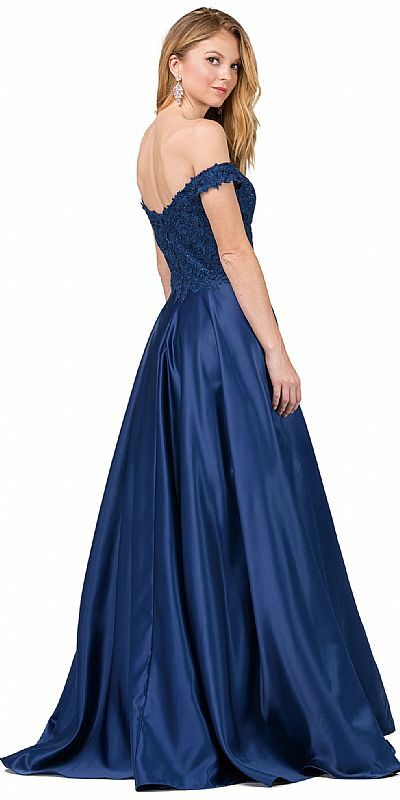 Floor length puffy skirt with pleating & lining. 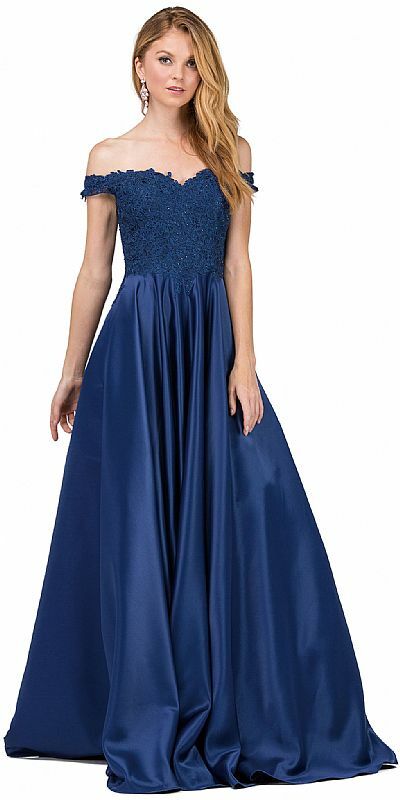 Polyester satin dress is 58" long with mid-low back & zipper closure too. Imported.